Fourteen-year-old Phoebe Quinn is surrounded by magic but she can't muster any of her own. her sister is a fairy keeper. Her best friends are merfolk. And all she does is dishes and housework. When Phoebe finds out a terrible sea creature is awakening that preys upon the peace-loving merfolk, she becomes determined to help the,, even though it means going with Tristan and Mina their home deep in the sea. Beneath the waves, Phoebe learns she's more like her sister than she realized. The merfolk are drawn to her, and she can sense the magic of the sea all around her. Magic is finally at her fingertips, but that's precisely why the stirring dark power under the waters decides it wants her most of all. Now she much not only help the peaceful merfolk escape this ancient enemy, she must master her out-of-control powers. If she fails, she will die and darkness will rise and enslave the merfolk once more. But embracing her full power could cost her the very people she loves the most. I enjoyed the first book Fairy Keeper and definitely found myself wanting to know more about Phoebe! And I think that this books is a great opportunity for that! 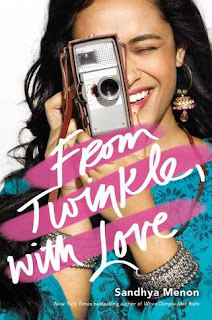 I know these books can be read as a standalone but you can find my review for the first book here. I am also really happy that this book focuses on the merfolk as well because we didn't really learn much about them in the previous book. I'm definitely excited to continue this story and see the similarities and differences! Thank you so so much to Curiosity Quills Press for this opportunity. I am extremely grateful. Thank you for the copy of the book! Just a quick thing to note; I have received this book at no costs of my own in exchange for an honest review. With that being said, please note that in no way has receiving this book affected my opinions. All thoughts are my own. It is clear to see that the author's writing has gone under some development since Fairy Keeper. I really enjoyed how quick and how silky smooth the reading experience was for this book. The author no longer made you see the words for what they were, instead, she invited you out into the world of Aluvia. She enticed you with well thought words and beautiful settings. I didn't feel the need to jump from paragraph to paragraph. The author did not bat around the bush in this book, which just made it so much better than the first book. I loved the plot of this book. It puled you in almost immediately and it was just one hell of a journey from beginning to end. There was very little to no repetition of information and if there was it was contributing to the plot and moving the story forward. I was so happy that we got to see more of the merfolk world. I was also pleased with how everything flowed. It made sense and the author didn't try to force the plot on us or the characters. And by focusing on Phoebe did wonders for this story and perhaps even this series. We got a small glimpse of our previous protagonist, Sierra, and every time she was mentioned I couldn't help but think what a hypocrite. I still don't really like her. She's alright though. But oh my gosh, every time Phoebe was like I wanna go swim in the ocean with my friends, Sierra would be like no its too dangerous. Like excuse me. You were allowed to go on an adventure of your own why can't Phoebe. I get it, she is trying to protect her sister from the evils of this world, but the thing is her sister has already been exposed to that. Let that little birdie flap her wings. Phoebe was great. Her heart was definitely pure and when it came to what she wanted and what was needed, she did the right thing all the time. Or does she? Overall, this book was way better than the first book. The writing, the plot and the characters were just great. I love seeing where this series is going and can't wait for the next book. I think it is going to be one hell of a ride if I look at all the progress that has been made between this book and the first book. 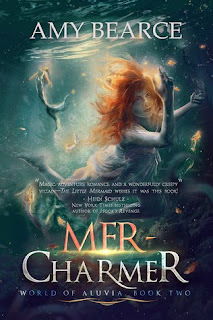 This book is for those of you who still crave to become part of the merfolk and who feel the sea tugging at their heart. Thank you to Curiosity Quills Press for sending me this book in exchange for an honest review! I am ready for the next book!